We have had a very busy weekend as we have been busy discussing/planning our games room, mum and dad have said we can turn our conservatory into a games room, how cool is that. Our games room will be somewhere we can hang out with our mates if we want to. Me and Lee have both been told that we can pick five items each that we would like to have in our games room. Here is a list of our top ten chosen items. The five things that I have asked for are. Lee list of five things that he has asked for are. We would like our games room to look cool and be a fun place to hang out. We have found some pictures to help us visualise some of our favourite items and what we would like to have in the room. 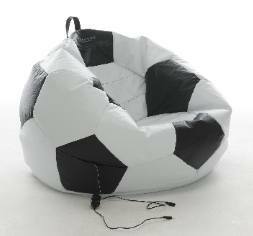 It would be great to have these in our room then we can have some extra seating and have plenty of fun stuff to do. Our room will be fun, exciting and most of all it will be our games room that will be a fun cool place to be. We are now extremely excited and can not wait to get our games room finished so we can start having lots of fun out there with our mates, we have told all our friends about our DIY project and they cant wait to see it when it is finished. 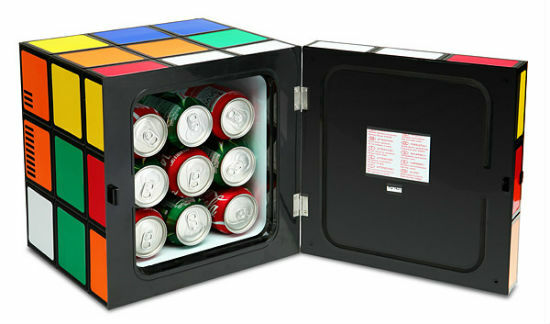 We hope to get started on creating our awesome games room as soon as possible. We have recently been looking into our home layout and questioning ourselves as to whether it is a fun place for teens to “hang out” as the boy’s call it. When our kids was little they always had friends in to play but now they are getting older all that seems to have stopped. We are now going to do our best to make our home a teen friendly home, a welcoming home to the boys friends, also a fun place for the boys to want to hang out and be with their friends. We are fully aware that the boy’s are probably not wanting to spend time with their friends at home and would much rather be out having fun but we would like to make our home a fun place for them to hang out if they wish. We are also aware that the boy’s are not going to want us parents hanging around whilst they are with their mates, how un-cool will that be, well so I am told anyway! So after having a good long think on doing this fairly we have a plan in place, we are going to turn our conservatory into a teens room, it already has a TV out there and a sofa, as well as a games console and stereo, so we are half way there anyway. The conservatory is due to be decorated very soon so we plan to get the teens involved in the decorating and refurnishing the room to create it into their own space. 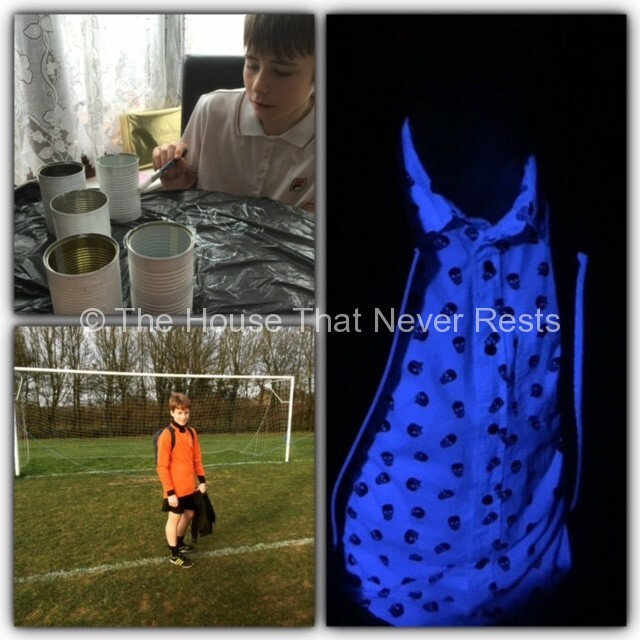 with creating a teen friendly home we have told the boys that this would come with rules and responsibility that would work to make everybody happy. Noise levels, respect our neighbours and keep noise levels at a respectable level. Agree times friends are allowed in and must leave by. Once the rules had been agreed to the boys got busy planning their games room, they have been putting a list together on things they would like to have out there. They have been thinking about all their interests and hobbies, Lee loves anything football related, he is a BIG spurs fan, he also loves playing a games consoles and sitting on his laptop. Bradley loves his art he will often be found with his art book that he uses for his drawings, he also loves reading, board games and both lee and brad have a love of music. So we now need to create a room that will cater for all, both boys hobbies friends. We plan to put a rota together that is agreed by both boys to save any arguments. The boys are very excited about creating this room and can’t wait to get started. 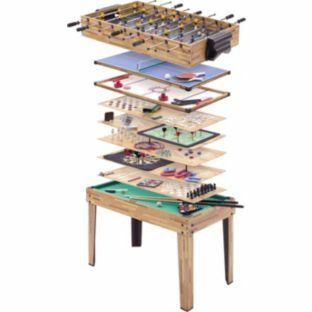 Do you have any ideas on what would be a fun item to add in the boy’s games room? Oh no! The Easter holidays are over and that means “back to school we go” boo! We had an awesome time off school and had some great fun whilst we was off, even the sun was shining and we had a lovely sunny school holiday. We had a sleepover at our friends house. Had an awesome time driving a boat, we was even better drivers than mum as we managed to stay in a straight line. Lee went to Thorpe park with his mates. We had loads of outdoor fun and made the most of the sun. We saw Mall cop 2 At the cinema. And guess what? I got my black belt. I love the school holidays as we can stay out longer, stay up later and best of all we can stay in bed longer, I love my sleep. Oh yeah, I got a horrible sunburn, I forgot to put my sun lotion on and I got burnt. OUCH, I will not forget that again! So now we are back to setting that noisy alarm that does like to wake us up at silly o clock in the morning. We will also be back to doing boring homework as well, but we are looking forward to seeing our school mates again, that will be cool and we really enjoy PE and after school activities so I guess it isn’t all bad. So for now it is goodbye school holidays we will see you again soon! our school shoes are now polished, our homework is up to date and our packed lunch is at the ready. More fun to be had very soon. We love visiting well-known attractions and love sight-seeing, one place that is on our to visit list is the Eiffel tower. With the kid’s learning French at school we said we will have a visit to France perhaps later this year or early next year so they can put what they have learnt so far into practice and whilst there we can visit the Eiffel tower. The kid’s got rather excited when we told them about our plans to visit France to help them with their studies and love the idea of visiting the Eiffel tower whilst there. So they had more of an understanding of the Eiffel tower we chatted about it whilst building a 3D puzzle. We researched and learnt quite a lot together. The 3D Eiffel tower puzzle by Ravensburger is a 216 piece puzzle, when we opened the box our first thoughts was WOW this looks hard but once we had gotten started we was rather surprised at how easy it was. The puzzle pieces are numbered to make it easy for us. As you can see by the picture above not only are the pieces numbered but they have arrows to help indicate where the next piece needs to go. 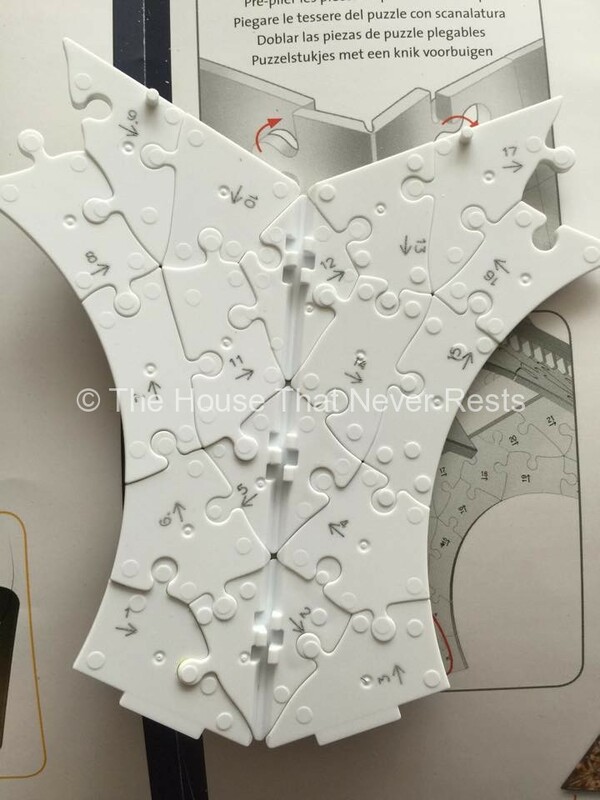 The puzzle has three sections to it which is separated by a plastic stand to help it stay in place. To help us find our next piece we sorted all our pieces into rows 1-10, 10-20 and so on. Bradley said “normally puzzles are done by looking at pictures, not by numbers” this was very true, we was doing a puzzle by numbers! 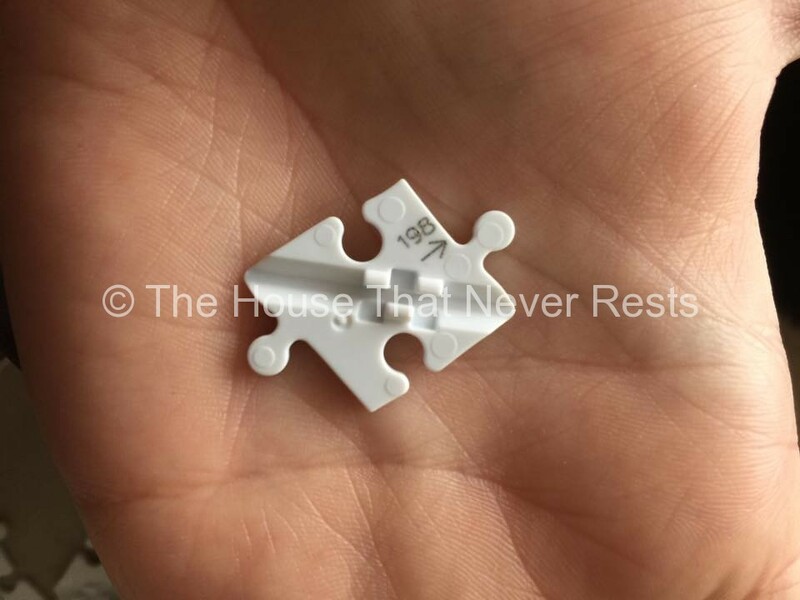 Some of the puzzle pieces you have to bend, these just simply clip together to create the bend. We had a bit of team effort going on, I sorted the numbers out, Brad done the building and Ian helped us to get it on the stand (me and Brad couldn’t watch this part) me and Brad was scared the tower was going to break when it came to putting the sections together, luckily it is stronger than we thought….Phew! The bit we found the hardest was the top section, we think it’s because it gets smaller/thinner at the top which made it that bit more tricky to put together. 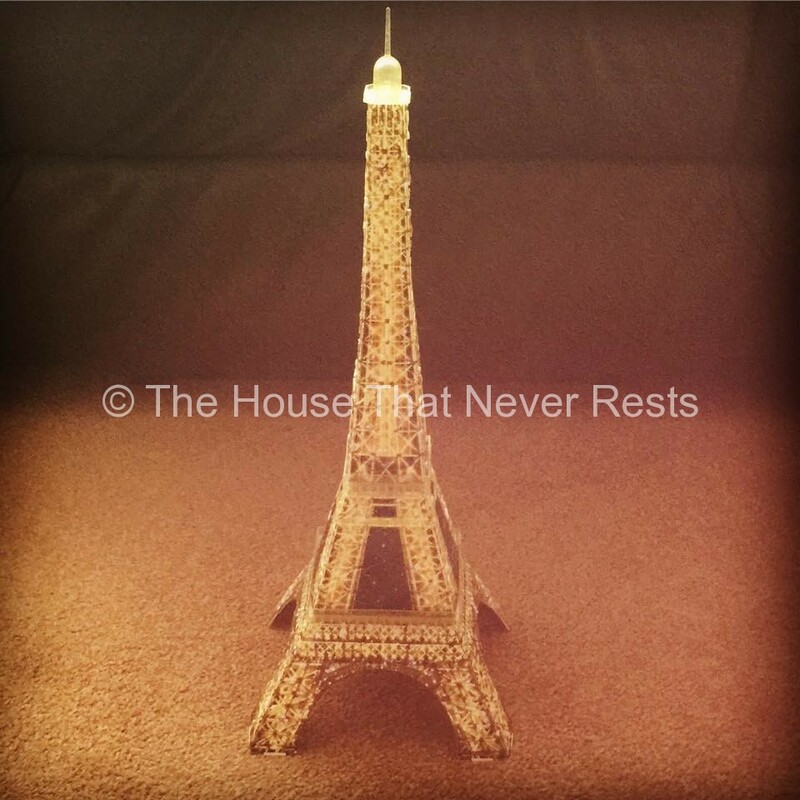 We got there in the end and here is our finished Eiffel tower that stands a whopping 47 cm – 18.5 inches tall. The tower stands on a plastic base which comes with the puzzle, this has colour changing LED lights on it which automatically changes leaving the puzzle to look rather effective. Ta DA ! here is our finished Eiffel Tower. All we have to say is WOW! we love it. 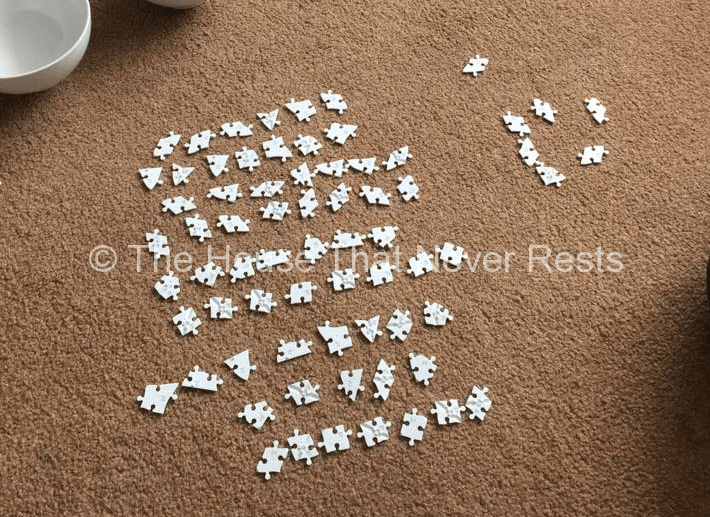 Do you enjoy doing puzzles? 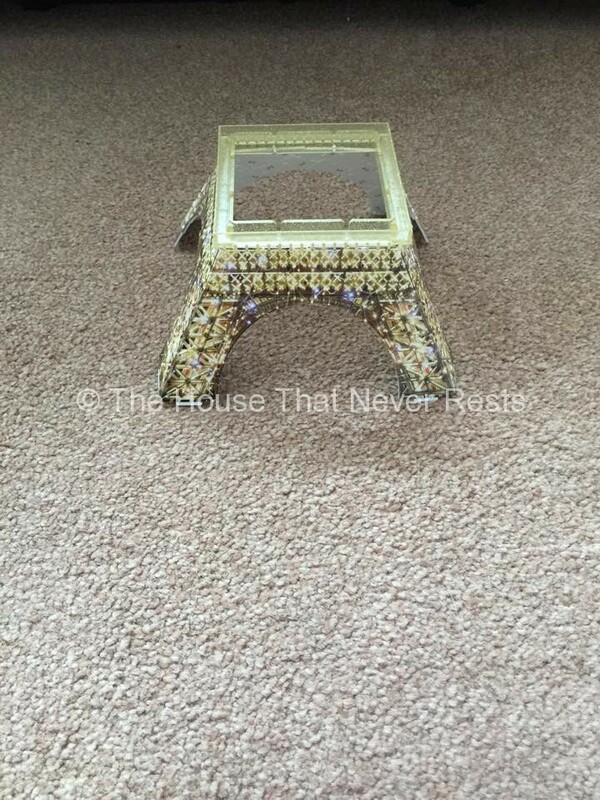 Disclaimer: we was sent the Eiffel Tower 3D puzzle for the purpose of the review. All thoughts and opinions are our own. This half term we have had so much fun together which we really enjoy and cherish. 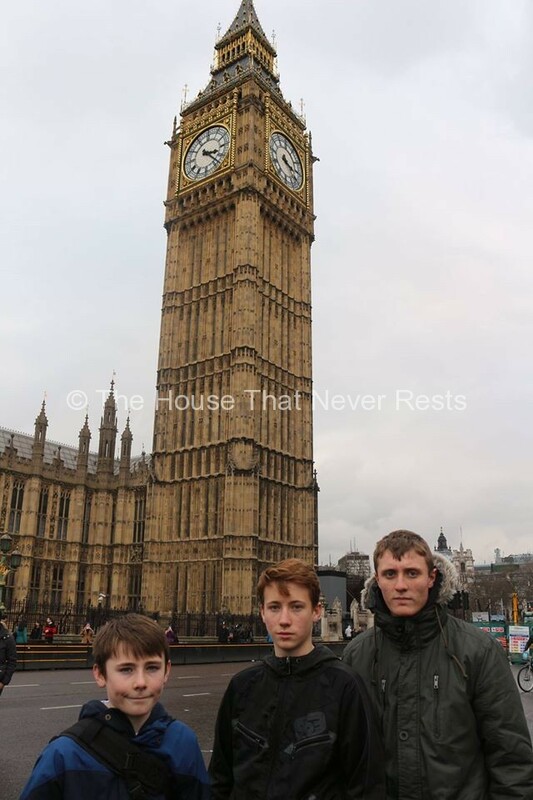 We started off our half term with a day trip to London on the Saturday, we went sight-seeing and had an amazing day. We saw Buckingham palace, the London eye, Big Ben and so many more London attractions it was so much fun. We planned to have as much fun as possible and have fun over half term. On the Sunday we went to watch Lee play in his football match where they drew one all, Lee nearly scored at the last few seconds but just missed the goal… lets just say he was not happy at all by this. On the Monday we started our decorating prep work as we plan to paint our hall, lounge/diner, the boys had friends round later in the day to play on the Wii fit for some indoor fun as the rain did not stop all day. On the Tuesday we went out for some fun in the park as the sun was shining the dinner was in the oven prepared for later so we headed off out to our local park for some fresh air and fun. Lee headed off out to his friends for a sleepover later that evening. On the Wednesday we went for some fun at our local swimming pool, we had races up and down the pool and yes Bradley cheated again, he pretends to drown so I stop and help him, he then races off and wins. We met friends there and went out for lunch, this was great fun. The fun continued back at our house later in the day as the kids friends came for dinner, my house then sounded like I had a night club open up in the bedroom. Thursday we had a day in doors today as our car was in for a service and it rained all day. We had a day of making our own games using products from around the house (post for this to follow). We also made homemade burgers for dinner. Friday we headed off out down to visit grandparents who live in Clacton, we don’t get to see them much as they are not local, it’s so lovely when we do get to see them. We couldn’t resist going to the seaside without having some fun in the arcades. Brad looking like he has no head in the London dungeons. Saturday was a day where we made big changes to our house and the painting began, we all got stuck in and helped, it was great fun. We enjoy doing our own DIY/Decorating. Sunday was a day for sports clubs, Lee had another football match, today’s game was a home match and Brad had boxing training, he is going for his black belt next month. The decorating continued today through to the lounge/diner and kitchen. The kid’s are now back to school, the decorating is continuing and plans are now being made for the Easter holiday’s. Having fun over half term was great fun, we had so much quality time together and so many more memories was made and cherished. What fun did you get up to? Bradley is a huge skylanders fan and has recently been trying out the new skylanders trap team and he has been having great fun doing so. Bradley was pleased to see that his figures from his swap force collection work with the trap team set. He was rather keen on putting the trap team to the test. The game is focused on capturing the skylanders most wanted villans that have escaped from prison. Powerful villans called Doom raiders caused loads of havoc all over skylands from their hideout. The trap masters eventually finds the hideout of the Doom raiders and they are then sent to prison. A villan called Kaos blows up the prison and releases all the villans inside. You have to hunt down some of the most notorious villans in skylands. You can use traptainium weapons to hunt and capture, Once captured you can then control the enemies and then use them for good in skylands. Bradley absolutely loved bringing the skylanders to life using the traptainium portal, he also loved discovering the new characters and finding out their abilities and powers. 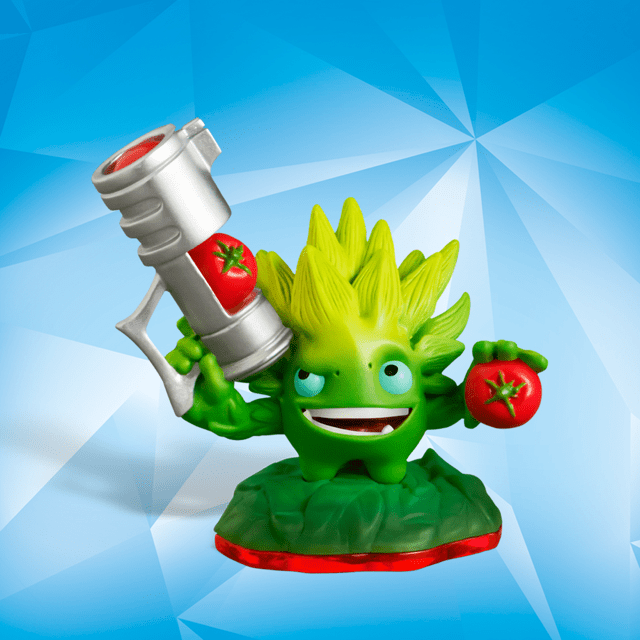 Bradley’s favourite character so far is food fight because he shoots tomatoes and he absolutely loves that and thinks it is rather funny! His second favourite is Snap shot because this is a water based character and he likes the water parts to the game. Bradley is not the only Skylanders fan in our house, Ian is a big fan too. I will often find Ian and Bradley enjoying the game together…..I will let you into a secret, Ian plays Skylanders whilst Brad is at school, who said the game was just for kid’s. Bradley really enjoys playing skylanders trap team with his friends, he has friends round to play and Bradley often goes round to his friends to enjoy a game of skylanders. Friends have even been on a sleepover at our house and Bradley and his friend have stayed up until rather late enjoying a game of skylanders trap team. This is great fun to play and I enjoy playing it very much. I could play this for hours and hours on my own or with friends. It is very easy to set up and play. I love that my old skylanders figures work on this game too. I enjoy the portal lights and sounds. Bradley’s overall favourite thing about the Skylanders trap team is you can trap the villan and send him to fight for you. 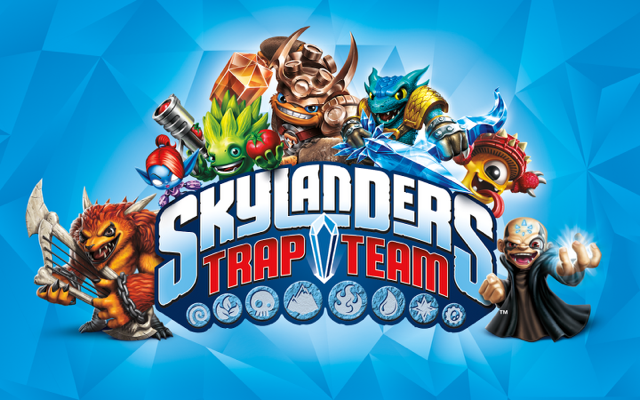 If skylanders trap team is something you may wish to purchase you can find out more here. 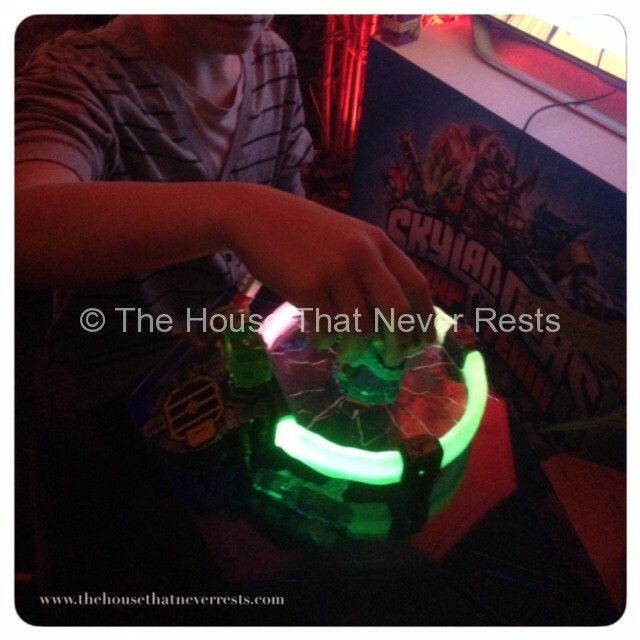 Do you have any Skylanders fans in your house? Disclaimer: we was sent a skylanders trap team starter set for the purpose of our review, all thoughts and opinions are 100% our own. Lee and Bradley would like to write about money-saving. Over to Lee and Bradley for kid’s corner. We have recently been looking into how much money we get/earn each week. We have recently noticed that we need some money-saving help as we admit to wasting our money each week and have nothing to show for it….Well we are teenagers after all! What we have done is, on our computer we have made a spread sheet of all our money earned doing odd jobs and added pocket-money given, as well as our money spent and what it was spent on. We have done this for one week and the results so far are. We earned a fair amount in odd job’s this week and with our pocket-money on top took us to a good amount but we then go and waste it at school in the canteen and whilst out with our friends…..As teenagers do we guess. Looking at our outgoing’s and what we spend our money on we are going to work this week on minimising this and getting some more money saved next week…Well try our best to anyway. Well we have managed to save some of our money this week this is already a bonus compared to other weeks so already this project is helping us. We work at our local market, we help them set up in the mornings before school and then go back and help them pack away after school, we help do this twice a week, on a Monday and then again on a Wednesday so this gives us a little extra pocket-money each week, we are planning on helping their more in the school half-term week so this will help us get some extra money to give our savings an extra boost, we can then get the football tickets and computer game quicker that we are saving for. The family investments project is really helping us with some money-saving help, we are learning how to budget our money and learning that we can save for bigger and better things. Disclaimer: This is a follow on post as part of a project we are working on. Lee and Brad are like any other kid’s, they love money……Well don’t we all! When it comes to saving on the other hand, well then they are not so keen. We have started working on a money saving challenge run by family investments, by doing this they will be able to have a closer look at incoming’s and outgoing’s to see where they are going wrong when it comes to saving money, it will also give them a better understanding of money and what they could achieve by saving. The minute they have money it burns a hole in their pockets and they feel the need to spend it, they then go off and waste their money and nine times out of ten they have nothing to show for the money that they have just had. We have asked the boys what would be the one thing that they would love to be able to just go off and buy if they had the money to do so. Lee said he would love to be able to buy a football ticket to go off and watch a spurs game with his mates. Bradley chose to save for computer bits. 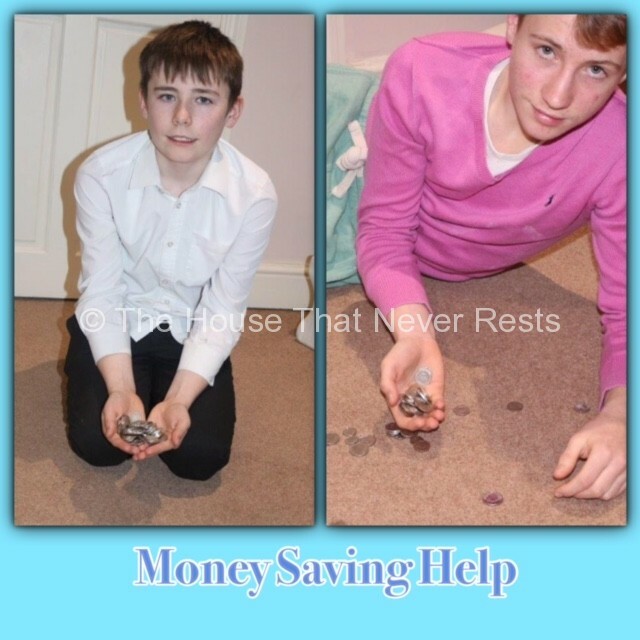 We have set them both a money saving challenge, we have asked them to work out how much they both could earn in one week via doing odd jobs, saving pocket-money etc and see how much they can manage to save. Lee and Brad have never really had to save for anything really as things they wanted we have either just gone and got for them, put it on a gift list for either birthdays or christmas or we have added the rest of the money to money given to them as a gift. I don’t know if this is a good thing or bad thing us doing this. 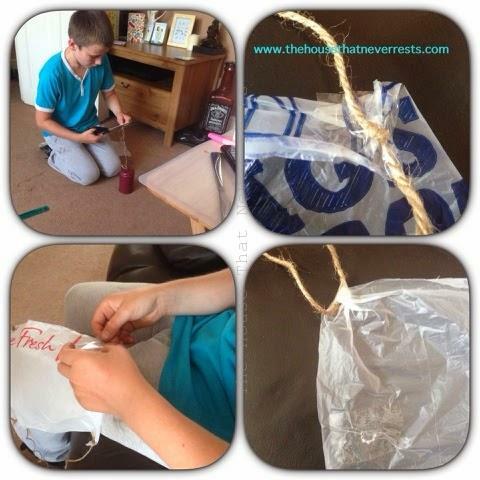 We are keen to see how this money saving challenge will help the boys and keen to see if it gives them a better understanding to the value of things. They have a money-box and a saving chart at the ready and they are very keen to get saving. What age do you think is a good age to help kid’s understand money saving/value of money? Lee is 14 and Bradley is 13. Fingers crossed this gives them more of an understanding! update to follow soon. Disclaimer: Lee and Bradley was sent some items to help them keep track on their money-saving. All thoughts and opinions are 100% our own. As you may already know I am very passionate about my football and love celebrating the football season. I don’t miss a game if I can help it and I keep track on what is going on. I like to keep check on who is where on the table and you will often find me watching match of the day. This weekend I have been sat watching the start of the football season, if you are not aware I am a born spurs supporter along with all my family. I live in Enfield so it is our home team, I love going to home games if we can. 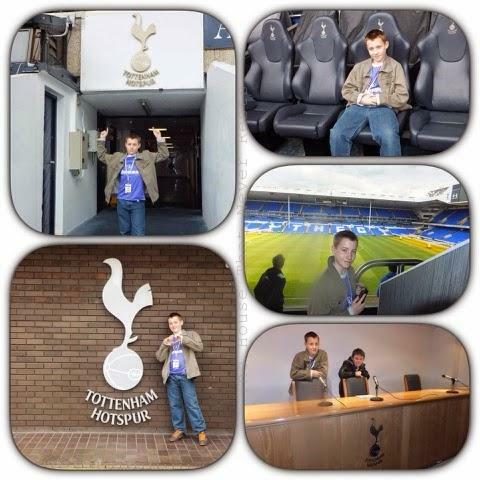 I have been on a spurs stadium tour and loved it, the experience was amazing, we have tickets to go along on a Wembley stadium tour and we are all extremely excited about this tour, it will be amazing. 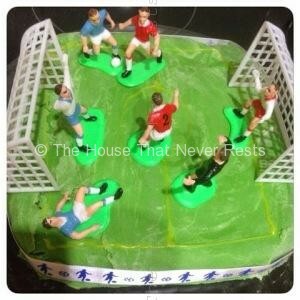 What we have done to celebrate the start of the football season is bake a cake to eat whilst watching the football and to take my mind off my course my mum and dad have booked me on to start my dream in a football career, I am due to go on this course on Wednesday and the nerves are beginning to kick in now but at the same time I am also excited. This is my dream career and it is about to start as this course will give me a good head start on what I need to know for the time being. If you would like to read about the course I am going on you can read about it by clicking here to read my previous post. 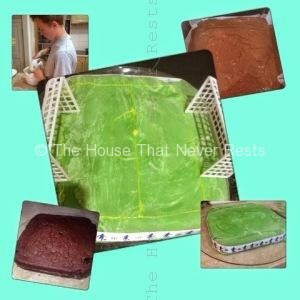 The cake we have made looks awesome, I love it, mum and dad have always said to me if I am not watching football I am drawing it and if I am not drawing it I am talking about it but one thing they have never said is that if I am not doing any of the listed is that I will be eating it, guess what I can now, look I have baked a football pitch, how cool is that. I had great fun baking this cake, I will enjoy celebrating the start of the football season eating this cake, I also had great fun decorating the cake too. Who is your favourite football team? 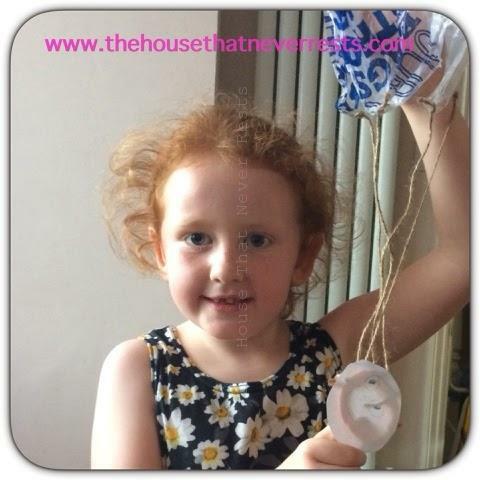 Hi everyone, we are back on kids corner today, we have had family round today and we was sitting thinking of what to do with our cousins, our cousins are 10 and 6, we did not want to run around in the heat as it is just too hot, we had a look round the house for some crafts to do. 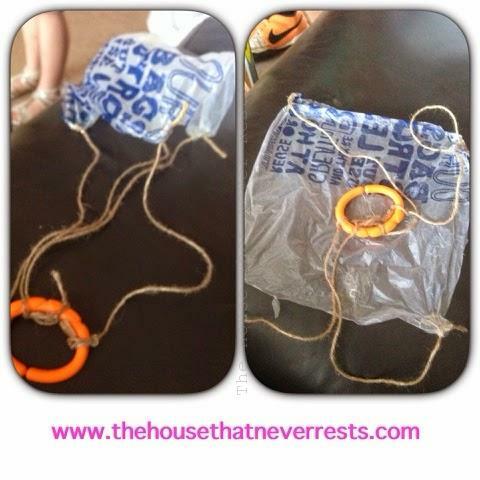 Here is how to make a homemade parachute. This was great fun to do with our cousins and took about half hour to make but we had hours of fun with it, we all took part in making something to add to it, it was great fun and we made it out of what was around the house. Demi done a drawing of a smiley face to put on the hoop. We really enjoyed making this and had great fun playing with it, we are going to look into seeing what else we can make at home and have fun with. Hello everyone my name is Lee, I am 14 years old. I am always busy doing my sports, I am a very sporty kid, I have a love for sports, my favourite of all is football. I have been busy training to get into our local football team, I have recently just found out that I have made the team, we was all very excited about it. I have been playing in local football matches for odd teams but I am overly excited that I can now say that I play in a team, it is nice to feel apart of a team as I am a great team player. At school I am always joining in with the sports and attend a lot of out of school activities involving sports for the school, I am in the athletics team at school, I find this very enjoyable and I look forward to the challenges it brings me. I am always out playing football or some kind of sport with my mates at weekends and school holidays, I am at my happiest when I have a football to kick about.Another thing I enjoy doing is watching Tottenham hotspur play as I am a big spurs fan, I always watch their games on TV and when I am very lucky we go to the odd game and that is amazing, I love the atmosphere of a football game. Another one of my favourite things to do is shop for sportsware, I have a love of football items, I am always hunting down my next pair of boots, kit or bag. My dream is to play for spurs, I live local to their training ground and I go over and wait for autographs when they are training, I have collected a few now. I am studying sport at school as I want to be a trainer when I leave school, I am also doing business studies as I would like to set up my own sports business of some kind and continue my hobby and turn it into a career that I no I will love. I am excited to say that out of all of these awards I was awarded the highest community points award, I am very proud of myself and extremely happy and I can not wait to show and tell all my friends. When we arrived at my awards ceremony there was drinks offered, wine for the adults and squash for us children all in posh wine glasses, I felt so grown up, there was loads of tables all done nicely with nibbles on and it look very posh. 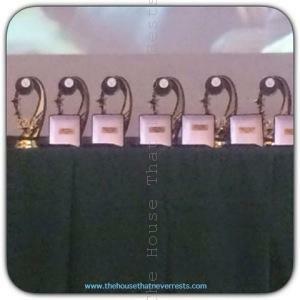 We was asked to arrive at school for 6pm for pre ceremony drinks and the awards started being handed out at 6.30pm. After I got my award we went to my nan and grandads so I could show them my award as I was so excited. My award is now sitting proudly on display on our corner shelf at home. 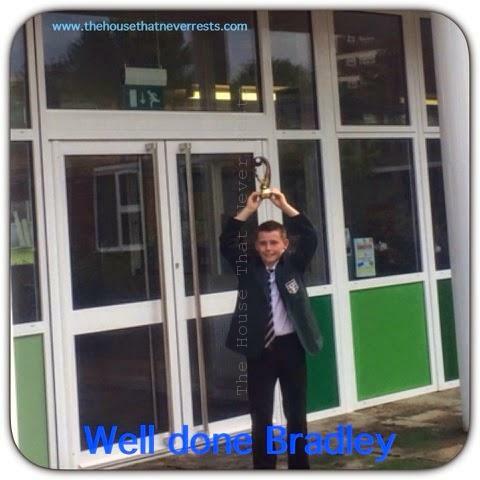 Hello everyone my name is Bradley I am 12 years old, I am writing this post to go in the kid’s corner of our family blog. 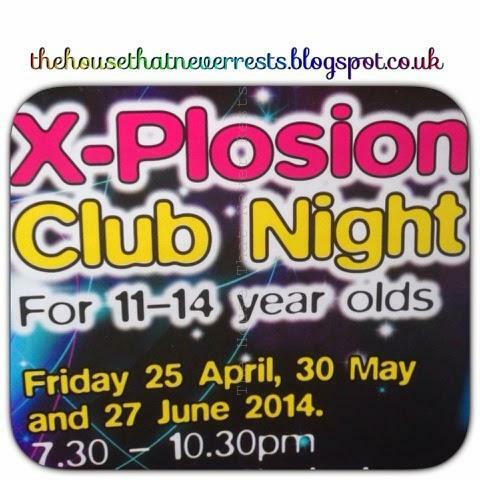 On the last Friday of every month local to us is a kids club called X-plosion club night, it is for ages 11 to 14 year’s and it costs £4.70 if you get your ticket in advance or it is £6 on the door. I have only been going for the past few month and I really enjoy going, I arrange with my friends in advance and it gives me something to look forward to, they have a DJ playing house, garage and R&B music and I love spending my Friday nights with my mates singing and dancing to our favourite music. At first my mum and dad was unsure of letting me go as they was worried about what went on inside but they was soon assured that there was security on the door and inside and no kids are allowed out of the building once inside unless there is an appropriate adult there to collect them. I take some money with me as I can buy a nice cold drink when I get hot from dancing and there is also snacks available to buy if I wish, as I live furthest away I knock for my friends along the way and mum and dad pick me up. The X-plosion club night starts at 7.30 pm and finishes at 10.30 pm there is a limit to 400 people maximum so they like us to book in advance if possible. This is a fun and safe place that I like to go to spend some fun time with my mates and have lots of fun. I hope you have enjoyed reading my post for kids corner.